There have been numerous regulatory changes in the past year at both the State and Federal Levels that affect our industry, as well as an increased level of FDA oversight and broad-based commercial litigation of personal care companies. In 2016, the FDA issued an increased level of Warning Letters citing illegal drug claims associated with topical skin care, hair care, and eyelash/eyebrow preparations, noted on both product labeling and Web sites. Some examples of the drug claims cited are acne treatment, cellulite reduction, stretch mark reduction, wrinkle removal, dandruff treatment, hair restoration, and eyelash growth. And there is increased monitoring of websites and consumer “claims” made in blogs and consumer recommendations. These areas will be addressed by our Speakers, as well as providing an overview of recent regulatory changes at the State & Federal levels. 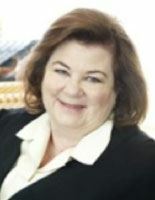 Georgia has over 30 years’ experience in Regulatory Affairs and Quality Control/Quality Assurance and has been a Consultant for last 13 years with ICRS, LLC. Prior to that, Georgia spent 10 years with Neutrogena Corp and 6 years at Herbalife International and has prior experience with contract packagers including Packaging Corporation of America (PCA) USA and was also a liaison for several large firms to contract packagers.. Experienced in both U.S. and International regulations, Georgia is an Instructor/Trainer in FDA recognized cGMP, Quality Control Systems, and FDA Audit Procedures, and is also an Auditor of Manufacturing Facilities for FDA compliance in the U.S. as well as Switzerland, Germany and China. Georgia holds a degree in Business Management from Glendale College. Ronie has deep knowledge of the laws and regulations affecting the cosmetic industry and counsels clients on litigation-avoidance strategies. She represents clients in broad-based commercial litigation, with a particular emphasis on consumer class action defense. 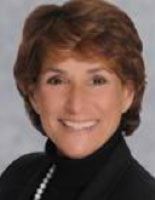 She also counsels clients on regulations as enforced on state and federal levels, including regulations enforced by the Food and Drug Administration (FDA), Federal Trade Commission (FTC), and other regulatory agencies; California Proposition 65; and advertising, labeling, and claim substantiation. Ronie is a member of and Legal Advisor to BIW, a founding member of the Bay Area Beauty Association (BABA) and a member of Cosmetic Executive Women (CEW) and SCC. Ronie frequently writes articles and speaks at conferences on topics affecting the cosmetic industry. 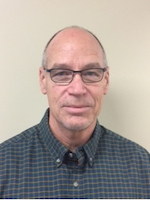 Mitch Willeford, Manager Regulatory Affairs, Jafra Cosmetics International, Inc.
Mitch has 25 years of experience in Regulatory Affairs and Quality Control in the cosmetics industry. His cosmetics career has been spent at Jafra, based in Westlake Village, California, where Mitch is responsible for compliance in all 17 Jafra markets including the United States, the European Union, Russia, Indonesia, Brazil, and importantly for Jafra, Mexico. Mitch is responsible for the adapting to and complying with regulations affecting cosmetic ingredients, product formulation, product registration, import/export issues, labeling, product claims and advertising and the various reporting regimes across Jafra's markets.